Kick off your visit on the 29th (Sat): take in the views from Golden Gate Bridge, see the interesting displays at SS Jeremiah O'Brien, then take in the waterfront at Fisherman's Wharf, and finally step off the mainland to explore Alcatraz Island. On the 30th (Sun), you'll have a packed day of sightseeing: examine the collection at Musee Mecanique, then get curious at Exploratorium, and then steep yourself in history at City Lights Booksellers. To see reviews, traveler tips, photos, and other tourist information, use the San Francisco route planner . Sydney, Australia to San Francisco is an approximately 17-hour flight. You can also do a combination of flight and train; or do a combination of flight, shuttle, and bus. The time zone changes from Australian Eastern Standard Time (New South Wales) (AEST) to Pacific Standard Time (PST), which is usually a -18 hour difference. Expect somewhat warmer weather when traveling from Sydney in June: highs in San Francisco hover around 25°C, while lows dip to 15°C. Wrap up your sightseeing on the 30th (Sun) to allow time to travel to Washington DC. Kick off your visit on the 1st (Mon): admire the masterpieces at National Gallery of Art, then see the interesting displays at National Air and Space Museum, and then contemplate in the serene atmosphere at Washington National Cathedral. On the 2nd (Tue), you'll have a packed day of sightseeing: get engrossed in the history at United States Holocaust Memorial Museum, get a new perspective on nature at Smithsonian National Museum of Natural History, then see the interesting displays at The National Archives Museum, and finally admire the masterpieces at National Portrait Gallery. For traveler tips, ratings, more things to do, and other tourist information, read Washington DC trip itinerary planner . Traveling by flight from San Francisco to Washington DC takes 7 hours. Alternatively, you can do a combination of flight, bus, and subway; or drive. You'll lose 3 hours traveling from San Francisco to Washington DC due to the time zone difference. Traveling from San Francisco in July, expect Washington DC to be somewhat warmer, temps between 37°C and 26°C. Wrap up your sightseeing on the 2nd (Tue) to allow time to travel to New York City. Get some historical perspective at 9/11 Memorial and St. Paul's Chapel. Get some cultural insight at The Metropolitan Museum of Art and The Museum of Modern Art (MoMA). There's lots more to do: take in the pleasant sights at Central Park, make a trip to Empire State Building, examine the collection at New York Public Library, and get a new perspective on nature at American Museum of Natural History. Plan my trip to New York City with suggested itineraries provided by Inspirock. Getting from Washington DC to New York City by flight takes about 3.5 hours. Other options: take a train; or drive. In July, plan for daily highs up to 35°C, and evening lows to 26°C. Finish your sightseeing early on the 5th (Fri) so you can travel to Los Angeles. Kick off your visit on the 6th (Sat): kick back and relax at Venice Beach and Boardwalk, enjoy the sand and surf at Will Rogers State Beach, and then see the interesting displays at The Getty Center. 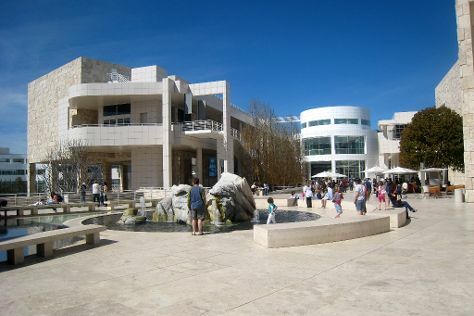 Get ready for a full day of sightseeing on the 7th (Sun): learn more about the world around you at La Brea Tar Pits and Museum, admire the masterpieces at Los Angeles County Museum of Art, then make a trip to Hollywood Walk of Fame, and finally look and learn at Griffith Observatory. Plan a Los Angeles trip in moments using our itinerary builder. Fly from New York City to Los Angeles in 9 hours. Alternatively, you can do a combination of bus and flight; or drive. Traveling from New York City to Los Angeles, you'll gain 3 hours due to the time zone difference. Expect slightly colder evenings in Los Angeles when traveling from New York City in July, with lows around 22°C. Finish your sightseeing early on the 7th (Sun) to allow enough time to travel to Honolulu. Appreciate the collections at USS Arizona Memorial and USS Bowfin Submarine Museum & Park. Relax by the water at Kailua Beach Park and Kapiolani Regional Park. It doesn't end there: kick back and relax at Waikiki Beach. For other places to visit, ratings, where to stay, and other tourist information, read Honolulu trip app . Traveling by flight from Los Angeles to Honolulu takes 7.5 hours. Alternatively, you can do a combination of bus and flight. The time zone changes from Pacific Standard Time (PST) to Hawaii Standard Time (HST), which is usually a -2 hour difference. Traveling from Los Angeles in July, expect a bit warmer with lows of 28°C in Honolulu. Wrap up your sightseeing by early afternoon on the 10th (Wed) to allow enough time to travel back home.